Rallying is some of the toughest racing in the world. Drivers have to tackle changing weather conditions and roads that vary from gravel to dirt to tarmac. There are blind corners lined with trees and people throughout. It's not for the feint of heart. And if you win a championship, like Petter Solberg did, that means you're one of the best drivers in the world. Ask him anything you want about rallying, racing, winning, and just being a badass. Petter Solberg entered the World Rally Championship for the first time in 2000 and won his first rally in 2002. 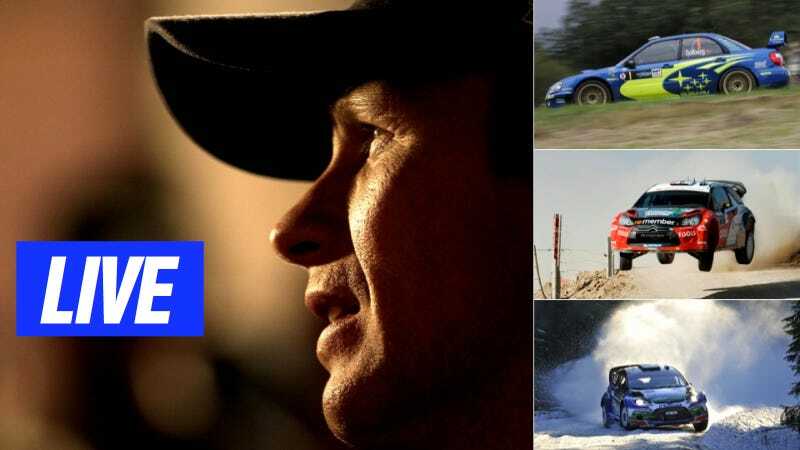 In 2003, while driving for the works Subaru Prodrive team, he won the whole magilla, his first World Rally Championship. Since that huge win, Petter went on to finish runner up to Sebastien Loeb in 2004 and 2005. He also won a whole bunch of races. In 2009, he formed his own team and ran Citroens until 2011. For 2012, he joined the Ford factory team and charged to fifth in the final standings. Now, for 2013, Petter is ready to take on something else. He will not be running in the WRC next year, and is looking for a whole new challenge. Could it be Rally Cross? Le Mans? Sewing? We just don't know. But now is your chance to try and find out. Petter will be around for the next hour to answer your questions. Jump in below and ask away! UPDATE: Petter had to run, but he had a blast. Thanks for all the questions!